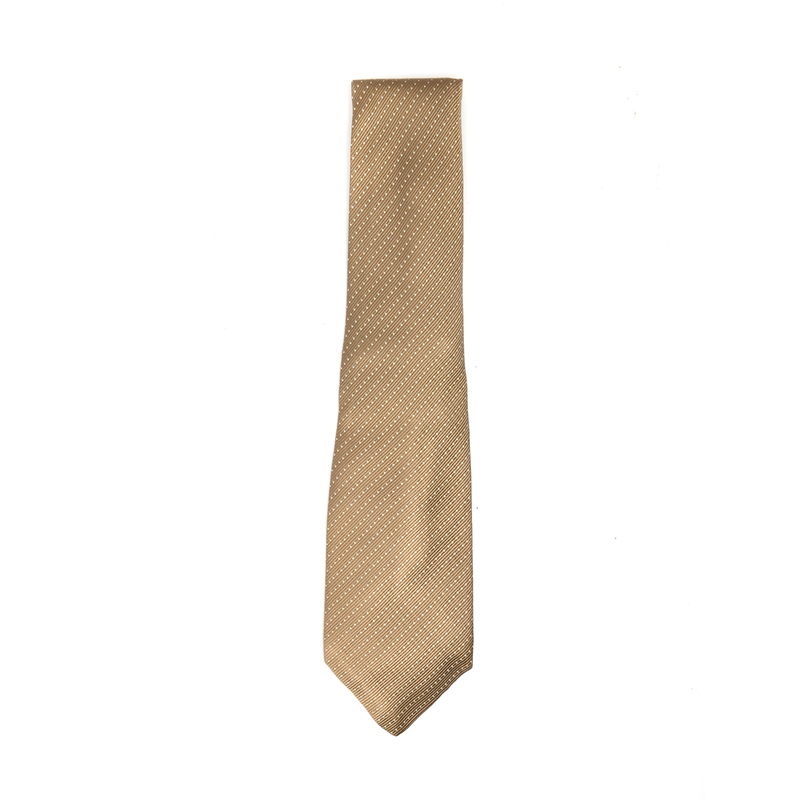 Pick this Prada tie to add a touch of grace to your corporate outfits. 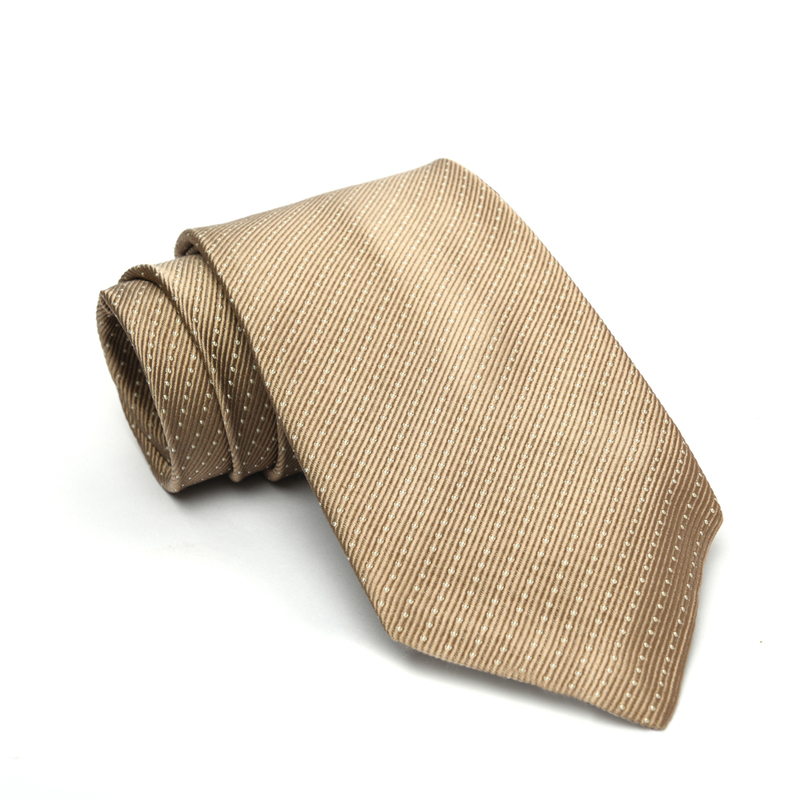 Made from silk, its champagne base is patterned with small white polka dots in diagonal stripes. 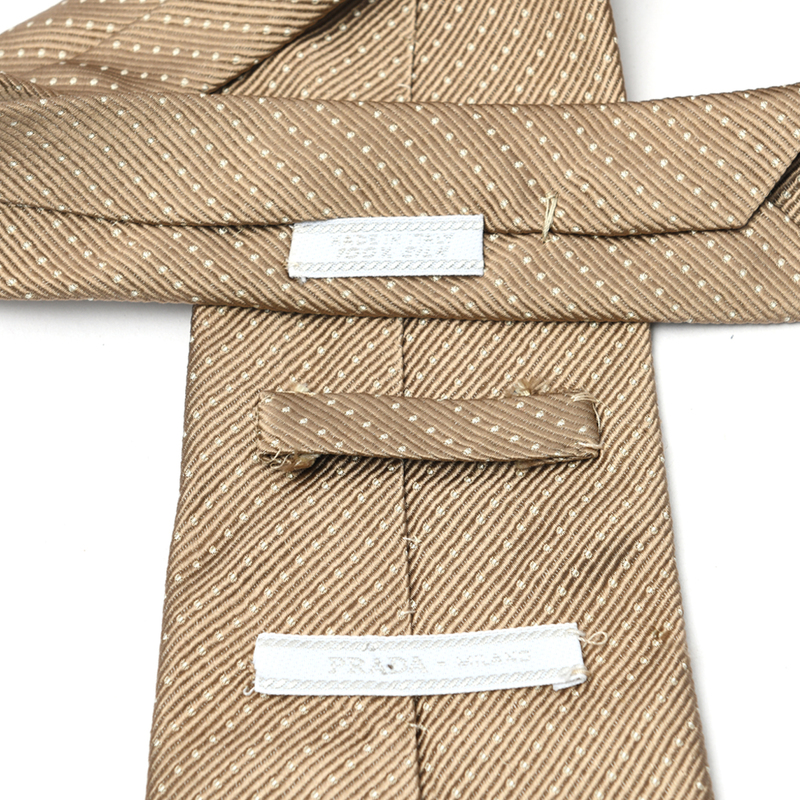 It is finished with a brand tag at the back of the broad tongue.